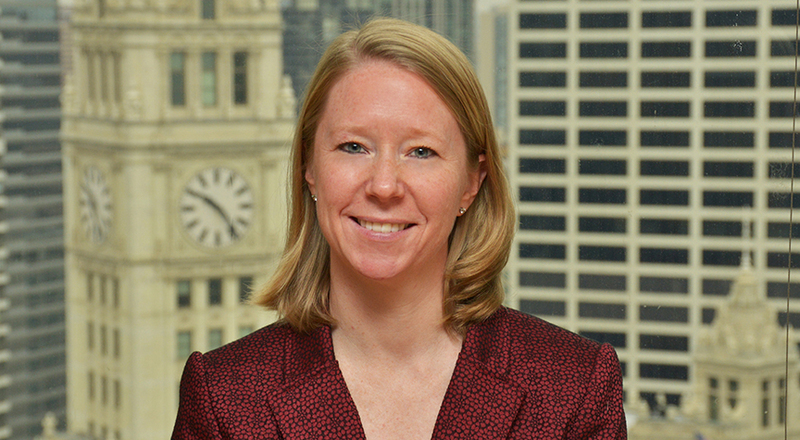 Heather is co-chair of Taft's Employment practice. She has a background in commercial litigation, with an emphasis on employment law and class action defense. Heather has been involved in the litigation of a wide range of employment-related disputes, including the enforcement of restrictive covenants, wage and hour claims, and employment discrimination claims. She also routinely counsels clients regarding employment decisions, such as hiring, discipline and firing of employees, as well as the implementation and modification of employment policies. Heather has represented clients in state and federal trial and appellate courts, arbitrations and mediations. She regularly appears before a wide variety of administrative agencies, including the United States Equal Employment Opportunity Commission, the City of Chicago Commission on Human Relations, and the Illinois Department of Human Rights in employment cases. Heather’s experience in class action litigation involves defending class challenges to employment practices, including disparate impact challenges to the use of physical abilities tests and written examinations in the hiring process. She has defended constitutional challenges of policies and procedures used by law enforcement agencies to inventory money and property seized from arrestees. Heather also has significant experience in administering class-wide settlements. In addition to employment law, Heather has litigated breach of contract cases, as well as litigation involving federal securities law, real estate (including foreclosures and commercial evictions), and allegations of breach of fiduciary duty against corporate officers and directors. Represent employers in a broad range of employment litigation matters, including harassment, discrimination, retaliation, and wrongful discharge matters. Litigation in many forums, including state and federal trial and appellate courts and state and federal administrative agencies. Responded to dozens of charges of discrimination filed with the Equal Employment Opportunity Commission (EEOC), Illinois Department of Human Rights (IDHR) and the City of Chicago Commission on Human Relations. Successful appeal of the loss of exemption before the Illinois Department of Employment Security (IDES). Assist clients in resolving cases in a beneficial and cost effective manner, including an early analysis of risk, litigation cost, and potential exposure. Preparation, review, and consultation with employers and high level employees regarding employment agreements, restrictive covenants (confidentiality and non-compete agreements), and separation agreements. Establish, document, review, and update of employment policies including employee handbooks for compliance with federal and Illinois law. Advise employers regarding all aspects of managing employees. Conduct workplace investigations following allegations of discrimination or harassment. Consult with municipalities and municipal departments in hiring and employment policies. Are Your Employment Policies for Illinois Employees 2019 Compliant?